The OSHA hazmat online safety course is designed to Occupational Safety and Health Administration guidelines, which exist for virtually every industry. The guidelines help employers determine whether there is a need for training, what goals and objectives exist regarding the course, and how best to design workplace learning activities. As new industrial products enter the market every day, the rules and regulations that govern the handling and transport of hazardous materials become increasingly complex. New packaging designs and specifications are continually being introduced, many of them providing a safe and more economical means of transporting hazardous materials. More such materials are being transported than ever before. Although incidents are relatively few, the potential dangers involved with the transport of hazardous materials have resulted in more stringent regulations and enforcement. These regulations are constantly monitored and updated. The development of the nuclear industry throughout the world is one example of the increased need for regulations regarding hazardous materials. 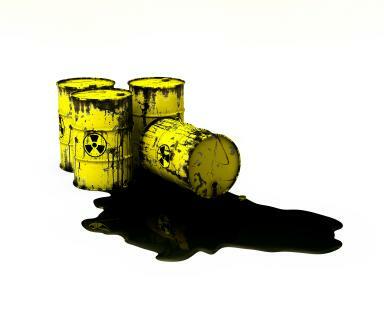 As nuclear technology has grown with the development of nuclear power and nuclear pharmaceuticals, there is a larger amount of radioactive waste that must be safely transported and stored. Once you have registered online for the hazmat safety course, you are given six months to complete it. Students can log in and train virtually anywhere that they have Internet access. You can work at your own pace, and can complete the course all at one time or in multiple sessions. All quizzes and the final exam must be passed with a grade of at least 70 percent. You can take the final exam as many as three times, if necessary. Upon successful completion of the course, you can download a printable certificate that will satisfy OSHA certification requirements. For more information, visit the OSHA website.